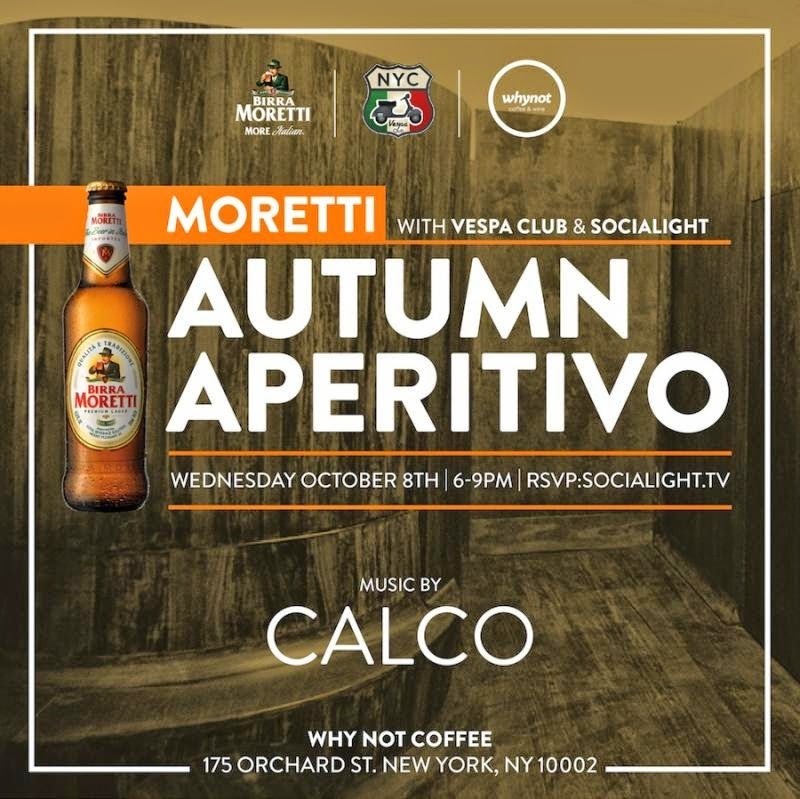 Join us as we welcome the fresh autumn air to NYC with refreshing beer, delicious Italian food, amazing music and good friends at the Moretti Autumn Aperitivo. The event is taking place at WHY NOT GALLERY, a beautiful lower east side venue which includes an art gallery, cafe, bar and lounge. Why not Art Gallery is the alternative to a traditional gallery experience, Supported by Whynot Coffee & Wine Bar, the idea was to create an unique, organic space where people enjoy art in a more comfortable, a non elitist way. We are interested in promoting local contemporary artists and designers. This event is co hosted by Vespa Club. Founded in August 2012, Vespa Club NYC was created with the aim to gather avid Vespa riders and Italian lifestyle enthusiasts together.